of 2 weaks though I had been thinking of reporting last Sunday. Please excuse this as it was written in great haste & I will stop. I shall write as often as I have an oportunity & you must write often. 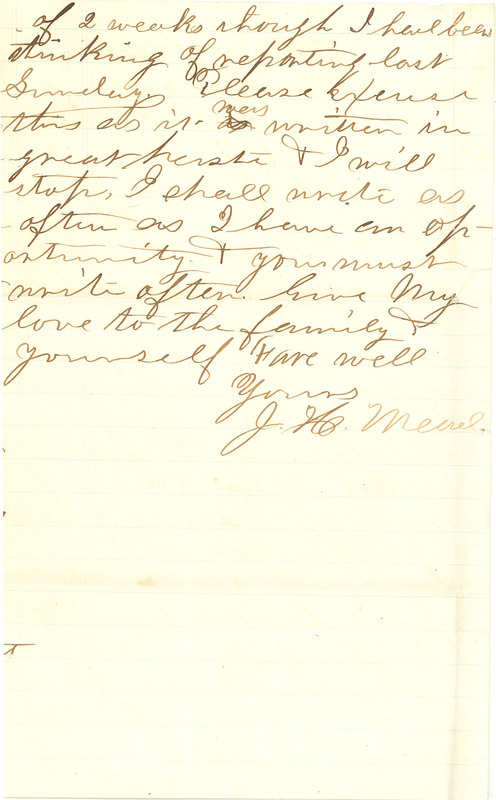 Give my love to the family & yourself Fare well Yours J. H. Mead.